Leave it to the shamelessly craven NBC News cable outlet MSNBC to find a race-baiting angle on the Connecticut school massacre tragedy. 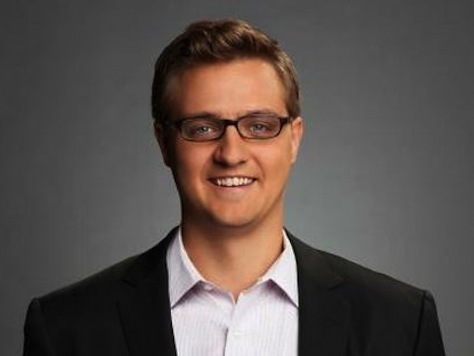 On the Sunday morning edition of “Up” with Chris Hayes Salon.com columnist David Sirota claimed that the debate about how to respond to the mass shooting would be “much uglier” if the murderer had not been a white male. “The issue with it will be, politically, I think; the profile is white men,” Sirota said as a grinning Ezra Klein nodded. “That’s a profile that’s not, essentially, in America allowed to be profiled. That’s the one profile in America that’s not allowed to be profiled.” Hayes agreed. It is a basic tenet of progressive, left-wing ideology that all things boil down to race, gender or class. The horrific evil on display Friday morning in Newton appeared to be free of such dogmatic blustering for the past couple of days, but not anymore. MSNBC came through for their audience with gusto. Legitimate discussions of mental health policy, safety and surveillance and yes, second amendment rights and responsibilities are all expected and natural in the wake of such a powerful and horrific event. Injecting divisive racial politics and painting your ideological opponents as “racist” in the wake of such a human tragedy is beyond craven, it’s despicable. Unfortunately, at this point, the fact that MSNBC is the outlet for such hate almost boils down to a “dog bites man” media story.